When I am in Zion National Park I feel so small, yet it is there I am struck by God’s amazing love for me. 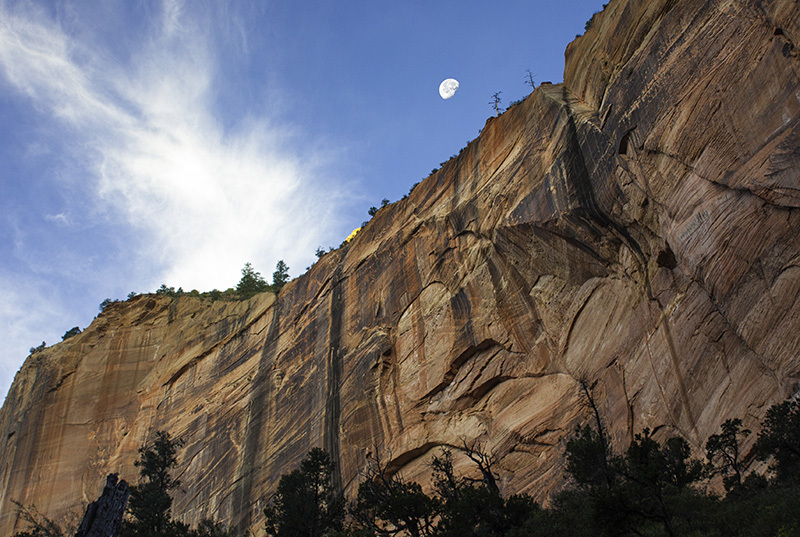 This entry was posted in Photography and tagged cliff, devotional, heavens, moon, Psalm 8:3-4, small, Zion National Park by Stephen Hufman. Bookmark the permalink. Amen! His creation does reflect His Works! Great Picture! Your pictures are so stunning, you would do God a favor by having a studio full of His Glory. Think about it. You should be selling these somewhere, anywhere and everywhere. I too feel his love in a striking way when I am in places like Zion. Yes, one of many places to remind us.